Background and objectives: Cervical pedicle screw fixation is a reliable method for the treatment of traumatic and non-traumatic cervical instability and cervical disc removal and fixation; however, the operation risks and the failure rate of screw insertion are still high. At present, the digital navigation template with digital computer technology, used in the department of orthopedics, has the advantages of accurate screw insertion and a small error in the screw insertion depth. 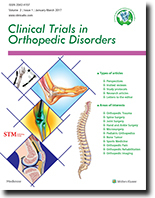 This trial aims to observe the clinical efficacy and safety of the digital navigation template combined with cervical pedicle screw implantation. Design: This is a prospective, single-center, self-controlled, clinical trial. Methods: Thirty-two patients with cervical spondylosis will be recruited from the Harrison International Peace Hospital, Hebei Province, China. Before surgery, a three-dimensional (3D) navigation model of the cervical vertebrae will be designed by 3D reconstruction. The navigation template will be generated by 3D printing. The cervical pedicle screws will be implanted according to preoperatively designed models and the screw positions will be observed by computerized tomography (CT) after surgery. The patients will be followed up for 40 months. 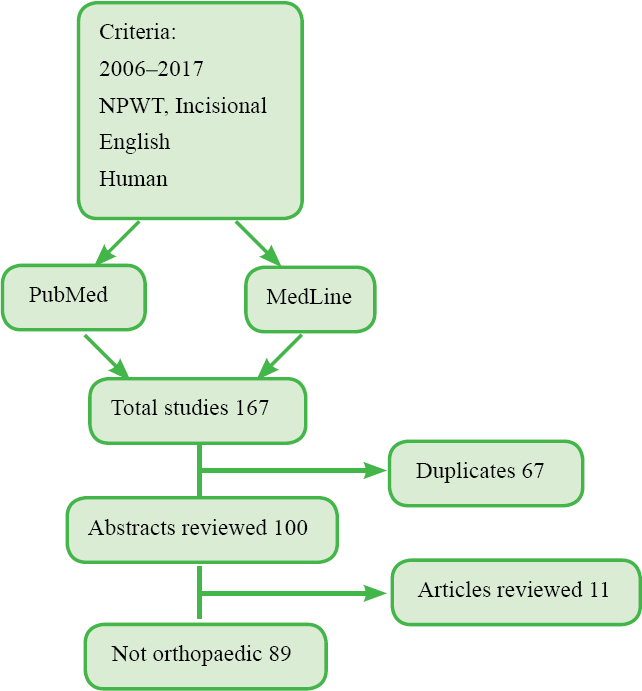 Outcome measures: The primary outcome measure is the excellent and good rate of screw position 40 months after implantation. The secondary outcome measures include the Visual Analog Scale score, American Spinal Injury Association classification, cervical X-ray and CT images before implantation and 40 months after implantation, and the incidence of adverse reactions 40 months after implantation. 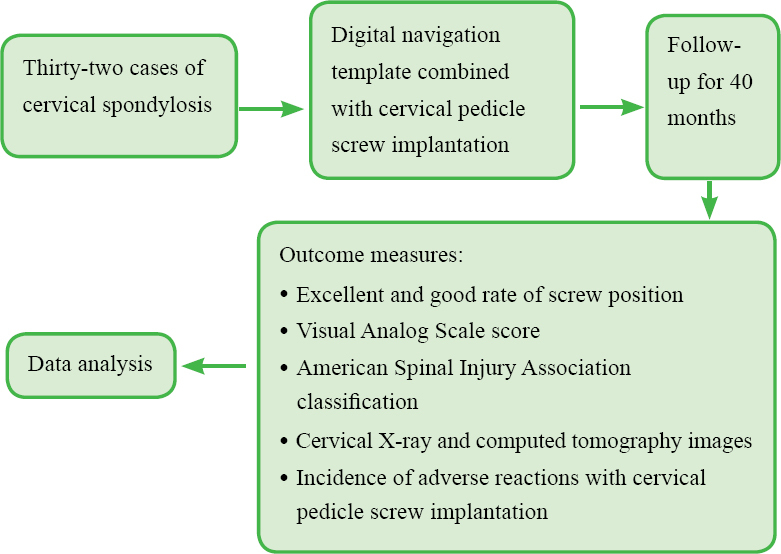 Discussion: We will verify a high success rate of cervical pedicle screw implantation using the digital navigation template. The operation is simple and quick, with good efficacy and safety. 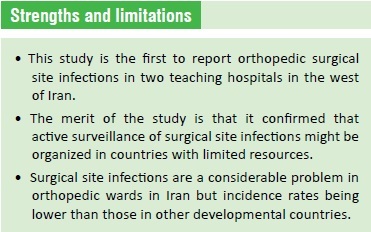 Ethics and dissemination: The protocols have been approved by the Ethics Committee of the Harrison International Peace Hospital in China (approval number: 20120630). The study protocol has been conducted in accordance with the Declaration of Helsinki, formulated by the World Medical Association. Written informed consent will be obtained from all participants. The recruitment of subjects will begin in December 2017. Samples and data will be collected from December 2017 to April 2019. Outcome measures will be analyzed in October 2020. This trial will be completed in November 2020. The results of the trial will be reported in a scientific conference or disseminated in a peer-reviewed journal. Trial registration: This trial has been registered in the Chinese Clinical Trial Registry (registration number: ChiCTR-ONC-17013481). 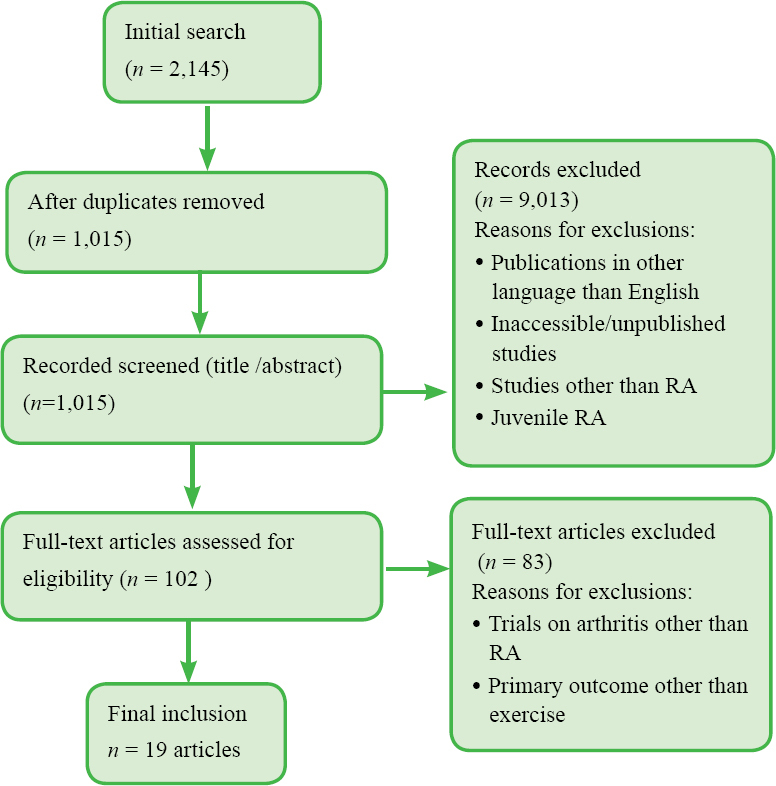 This review will examine publications which have investigated exercise intervention to promote physical activity in people with rheumatoid arthritis. Literature was searched using PubMed, Medline, Google Scholar, Cochrane Library and Web of Science. Overall, the studies demonstrated the promotion of physical activity in people with rheumatoid arthritis. Although there were aerobic, strengthening, stretching or combined exercise interventions, the majority of studies evaluated used combined exercise. There were no specific physical activity guidelines for people with rheumatoid arthritis and, additionally, a lack of data regarding the type, frequency and intensity of appropriate exercise in people with rheumatoid arthritis, therefore further studies are recommended.